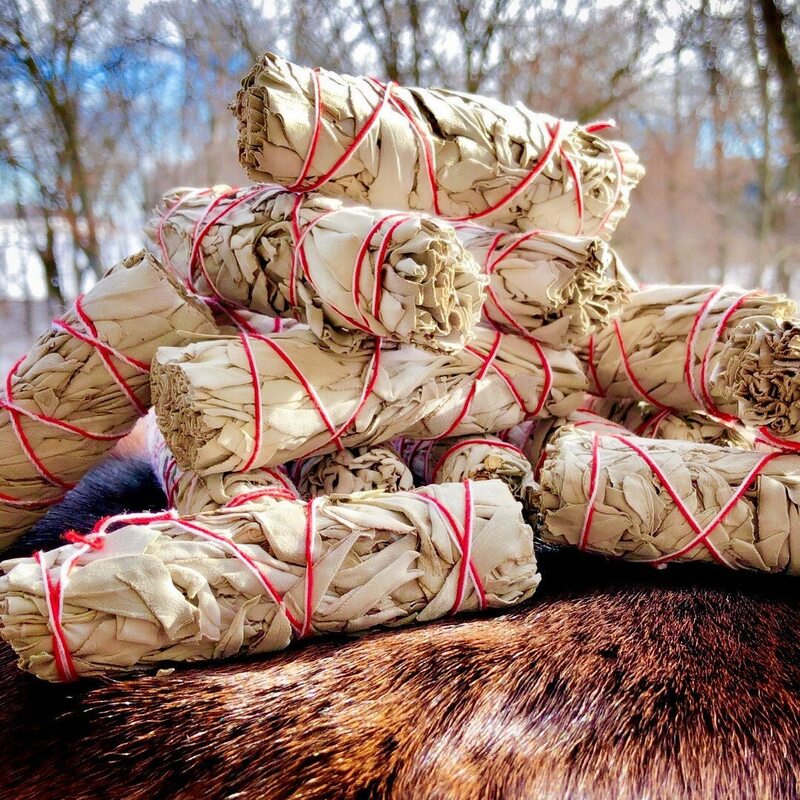 Pure 100% Native American organic white sage bundles sold individually. These are a nice smaller size measuring approx 4-5”. Every bundle/wand is hand tied and dried. Wrapped in 100% cotton strong (color may vary). The traditional way of the Sioux is to fist always ask the plant for permission before cutting and then to leave a small gift like tobacco or a piece of hair in place of what was taken. Each one of these bundles was individually handmade with respect and prayer. 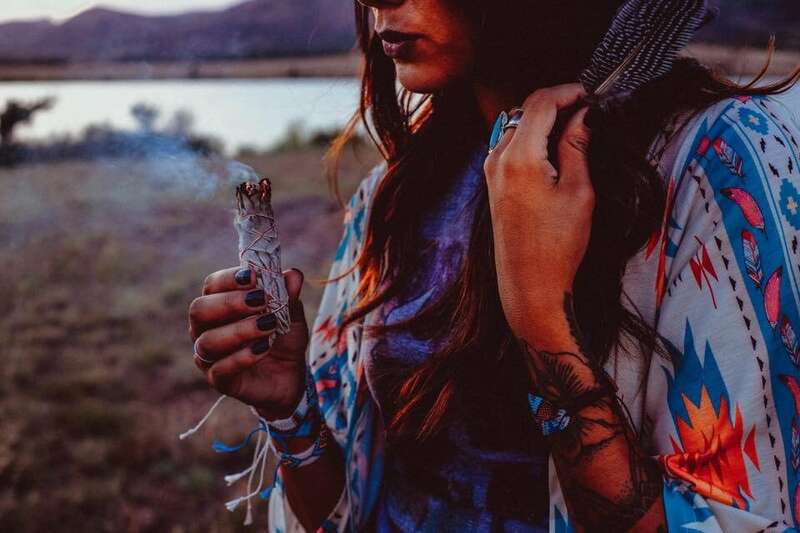 May these smudge sticks bring blessings upon you! 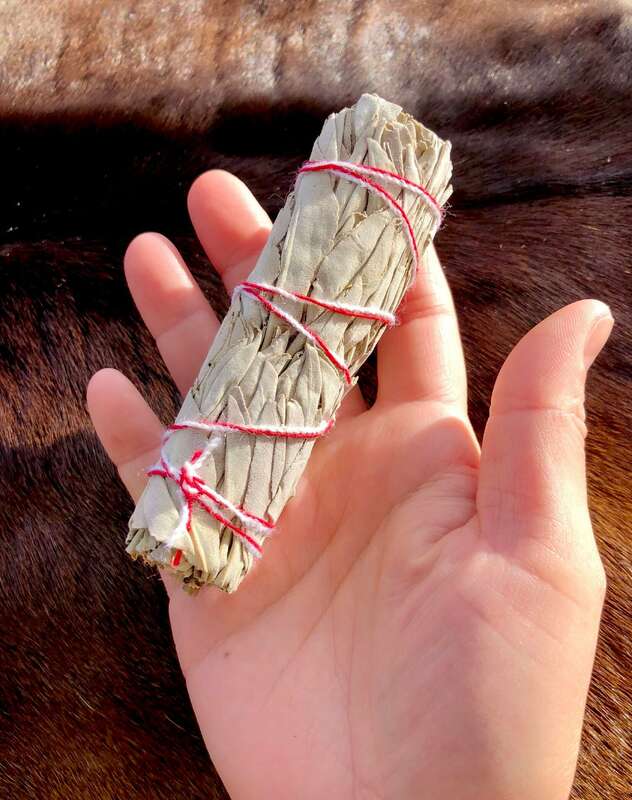 Sage is used for smudging to clear negative energies and cleanse the air in your home. Simply light the end of the wand with a flame, blow out the flame, and let the bundle smolder encouraging the smoke to circulate throughout your home. Please use caution and common sense and keep away from flammables and do not leave unattended. Received in perfect condition. Can’t wait to use this. Smells lovely. Thank you for the gift. Quick delivery!! Very happy with my purchase !!! I’m so happy with my purchase! It was bigger than I expected and I’m super happy about that! I will definitely continue to purchase from here as always! I ordered these for a personal matter, they arrived within the amount of time specified by the seller and was exactly what I ordered, should the need arise for more of these items or similar items that are available for purchase by this seller i shall not hesitate to order them.